Attachment to your child’s artwork is understandable. Don’t risk ending up with a hoarder-style obsession where mountainous piles of crayon drawings and finger paintings crowd your home – take a look at this smart display option. Those clumsy, whimsical drawings our children create are, in our eyes, masterpieces. Not for their composition, use of colour, or technique. But because they’ve come from the clever little mind of a child. But paintings on giant pieces of butcher paper soon begin taking up precious space. 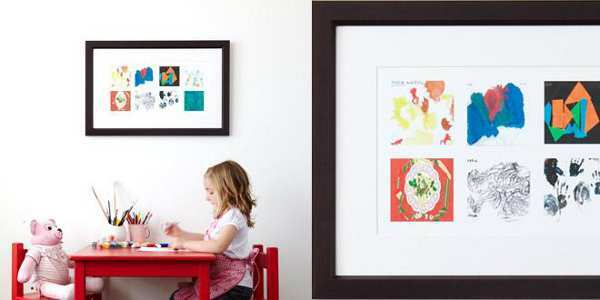 ArtRooms is a brilliant Australian company which has come to the rescue of parents in need of freedom from expanding children’s art collections. 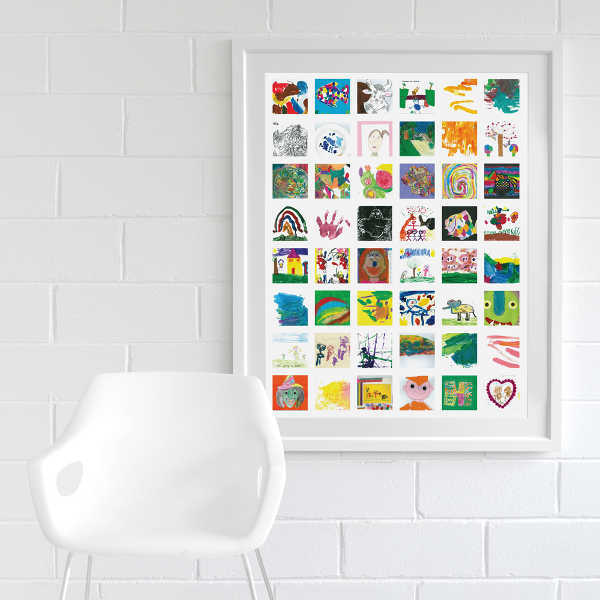 The concept is simple – your children’s artwork, turned into a collage print, framed and ready to take pride of place on a wall. You simply send the artwork to ArtRooms (courtesy of a special box which is posted out to you). 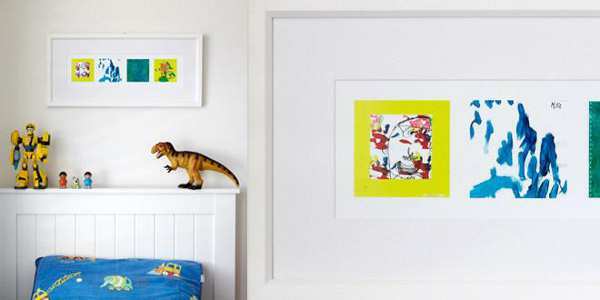 ArtRooms will then scan each piece of art, create a layout, print out the image and frame it. They will even post the precious original artwork back to you (just in case you really can’t bear to part with them). There are a variety of layouts available, depending on how many images you choose to include. At the large end of the scale, a print with fifty-six images measures 980mm by 1100mm, and costs $880 fully framed, or $780 as a canvas. 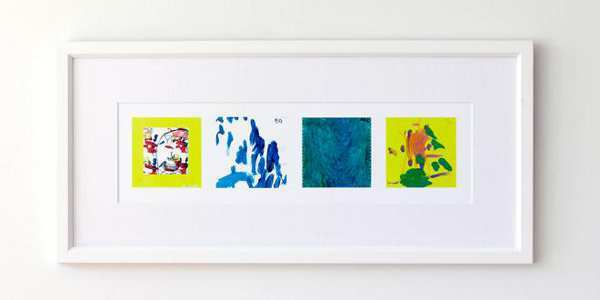 A single original artwork can be framed in A3 size for $165. Order directly through ArtRooms.